Yokogawa has completed the installation and commissioning of an integrated control & safety system (ICSS) on the Ningaloo Vision, an oil tanker that has been converted into a floating production storage, and offloading (FPSO) vessel for use in the Van Gogh oil field off Australia's Northwest Shelf. This was Yokogawa's first project for Prosafe Production Services Pte Ltd, a major owner and operator of FPSO vessels. This ICSS makes possible centralized plant supervision and management of all control and safety functions on this FPSO. It is expected that the Ningaloo Vision will remain in service at the Van Gogh oil field for at least 15 years. Yokogawa and Prosafe Production Services jointly designed the ICSS for this project. Yokogawa's scope of supply included the design and supply of a Zone-2 certified PCS remote input/output (RIO) including nodes, modules, zone cabinets, and network links for topside facilities; a Zone-2 certified ESD, FGS, and PCS system for the turret mooring system; and RIO modules for installation inside electrical switchboards. The installed CENTUM CS 3000-RS Vnet/IP system performs the monitoring and control of processing facilities, including associated topside facilities, regulatory control, and on/off controls. It also generates production data reports; interfaces with other subsystems and human machine interface (HMI) consoles; and archives, records, and transmits data to other interface systems and a management reporting system. The other major system installed in conjunction with this project was the ProSafe-RS safety instrumented system. This detects potentially hazardous process conditions in the topside facilities and, if necessary, implements an automatic shutdown of all safety end devices (interlocks) and issues alarms. To ensure the safety of the ship's personnel and protect the environment, it also can initiate an automatic shutdown of individual devices or the entire facility. A tight project delivery schedule: Delivery was expected within six to eight months of the signing of the contract. Strict Australian laws and regulations on offshore oil field development activities and hazardous applications required special care with F&G device selection and system engineering. Requirement for a subsea interface: Subsea is quite a new area for Yokogawa, but it is an offshore industry market with great potential that the company wishes to develop. Fiber-optic technology design for FPSO ICSS control network: There was a special FPSO offshore cabling requirement for a complete fiber-optic network, not just the normal Cat5E or Cat6 internet cabling system. Turret Vnet/IP communication: The Vnet/IP cabling needed to pass through the turret swivel. TUV, DNV, and LRS certification process: An offshore classification was required. 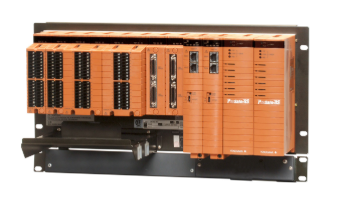 With good coordination between the Yokogawa and Prosafe Production Services engineering teams, the overall system design inclusive of subsystems interfaces was soon finalized, enabling the delivery of the complete system on schedule. The very capable Yokogawa engineering team supervised onsite construction and conducted testing and commissioning of the complete system. Prosafe Production Services was satisfied with the on-time delivery of the ICSS and the FPSO set sail for Australia in October 2009. With the successful execution of this first FPSO project for Prosafe Production Services, Yokogawa has demonstrated its strong project management capabilities in this field and expects to further develop the FPSO ICSS market. Prosafe Production Services is a major owner and operator of FPSO vessels. Its core business involves turnkey engineering, procurement, and project management services for the conversion of oil tankers into FPSO vessels for clients on a lease or purchase basis. The company's patented designs for innovative SPM and turret mooring systems have all been developed in house and have been key contributors in many successful projects. Prosafe Production Services has its main office in Singapore and a marketing office in Houston. It currently operates a modern fleet of seven production and/or storage vessels in West Africa, India, Indonesia, Brazil, and New Zealand. All main ICSS equipment is located either in the FPSO accommodation area or the electrical room. Remote I/O cabinets are installed at each of the four main process modules. Operator interface equipment and operator stations for the platform data gathering system, metering/tank gauging/loading/offloading control systems, and boiler control system are located in the central control room (CCR). Operator stations are also in the electrical room, instrument technical room (ITR), and engine room. In addition, the ITR houses all main ICSS instrumentation and control equipment/panels for overall management of the FPSO. The PCS and VMS enable continuous control and monitoring of all operations on the FPSO. These systems all employ the latest technologies and have an open system architecture. The operator interface goes through the ICSS, which integrates the data from all FPSO units and systems via a serial link or direct hardwired connection. The safety of the processing facilities is assured by the PSD, ESD, and F&G systems shown in the accompanying system diagram. The ESD and F&G systems also can detect fires and flammable gas concentrations in the processing, engine, and accommodation areas. Alarms from the ESD and F&G systems can be monitored on the ICSS. The ESD and F&G systems are integrated with the PSD, PCS, and VMS via a dual redundant network that allows them to control the safety functions for all ship systems, including topside facilities.